Learn seven critical tips and strategies you need to know when managing a mobile workforce. The workplace is more mobile than ever before, and the number of virtual employees is only increasing. With the increase of virtual employees in the workforce, comes new challenges facing employee engagement and communication that have never been seen before. Virtual employees have unique motivators, and require distinct considerations compared to their traditional office counterparts. Without adapting management to fit their needs, working remotely can lead to a lack of engagement and a desire for the socialization and collaboration found in an office environment. 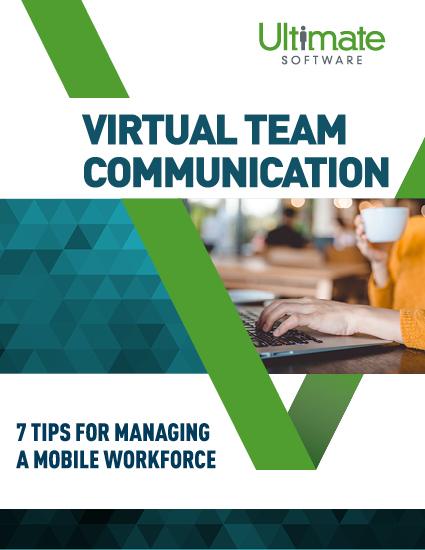 Discover the pitfalls virtual employees can fall into and strategies you can use to help you manage your mobile workforce. Please fill out this brief form to access your talent management guide.